Massachusetts Attorney General Coakley acts on behalf of fisherman to protect their livelihoods. â¨BOSTON — The state attorney general of Massachusetts filed suit against federal fishing regulators Thursday in an attempt to block new rules that she called a “death sentence” for New England’s fleet. The filing by Attorney General Martha Coakley comes four weeks after major new cuts in catch limits for bottom-dwelling groundfish went into effect May 1. The most significant cut is a 78 percent year-to-year reduction in the catch of Gulf of Maine cod, but fishermen have also absorbed huge reductions in key flounder and haddock species. Fishermen say they aren’t allowed to catch enough fish to stay in business. “I am in financial ruin,” said Gloucester fisherman Joe Orlando, who stood with industry advocates and Coakley at the Boston Fish Pier when Coakley announced the suit. The suit alleges that though regulators at the National Oceanic and Atmospheric Administration acknowledge the cuts will be devastating, they haven’t met legal requirements to mitigate them. It also charges regulators with using flawed science to back overly restrictive rules. “The federal government has shown a callous disregard for the well-being of Massachusetts fishing families,” Coakley said. In the months before the rules took effect, regulators took various steps to try to ease the blow, such as by increasing the quota on healthier species. But the Northeast’s top regulator, John Bullard, has repeatedly said the sharp cuts, though painful, are needed to help fish stocks rebound. And he says the science is sound and backed by results on the water last year, when fishing was down region-wide and fishermen failed to catch near their quotas on most species. In a statement Thursday, Bullard said it was “unfortunate” that Coakley decided to sue rather than work with NOAA to find ways to help the industry. “It is time for us to look forward, not backward, if we are going to be able to help fishermen through this difficult transition,” he said. In the suit, Coakley refers to a historically dysfunctional relationship between federal regulators and local fishermen, recalling a 2010 review that found fishery cops had levied unreasonable or inflated fines against Northeast fishermen. 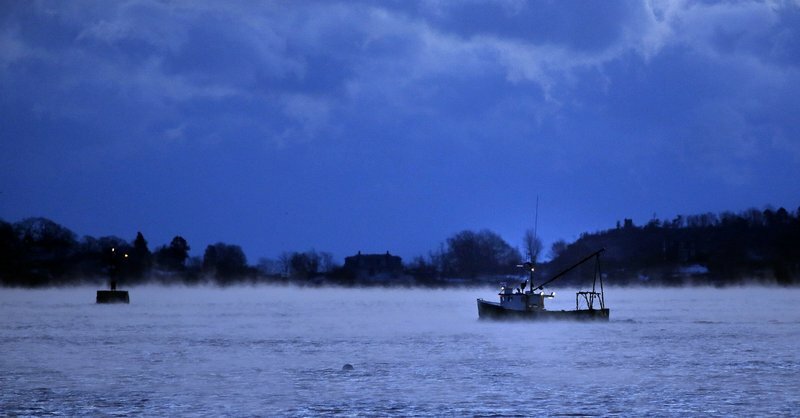 “The (new rules) are the latest in an unfortunate series of actions by NOAA that have threatened, instead of cultivated the success of, New England fisheries and fishermen,” the suit said. The science Coakley attacks in the suit has long been a point of contention for fishermen, who say it’s unreliable, and can fluctuate wildly, with fish stocks seen as healthy suddenly viewed as struggling. Fishermen note that they’ve caught within the limits recommended by science for a decade, but the payoff promised by scientists hasn’t come. “My livelihood has been slashed before my eyes because the scientific reports changed so drastically,” Orlando said. The Northeast Seafood Coalition, a Gloucester, Mass.,-based industry group, backs Coakley’s suit and is pushing to replace the current regulations with emergency interim rules installed for 2012. The coalition says another year of the interim rules would allow more businesses to survive, while still allowing key fish species to grow. Bullard declined to continue the interim rules, saying it was neither legal nor prudent. Peter Baker of the Pew Environment Group said he believes Coakley’s suit will fail, but that it has the potential to make a bad situation worse by overturning rules aimed at rebuilding long-struggling fish stocks. Federal regulators are following the law, and the science — though imperfect — still clearly shows the fish are struggling, as does last year’s poor catch, he said.